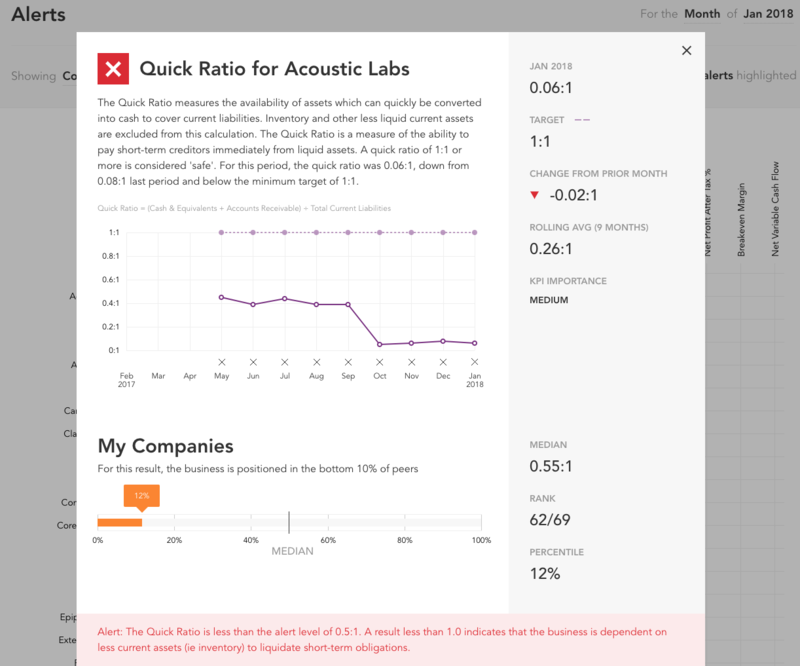 The alerts tool helps to monitor key performance alerts for all companies in a benchmark group. This tool presents a dashboard which helps to identify companies which may be experiencing areas of financial stress. A red dot indicates that an alerts has been triggered. A grey dot represents that an alert is measured (you have set an alert for that metric on that company) but is not currently triggered. An alert is triggered when a result for a KPI exceeds the set alert threshold. Alerts for each company are configured in 'Step 6 - Set Alerts' of the company setup. The number of alerts that have been triggered across the analysis are displayed in the top right. You can choose to show All Companies in the Benchmarking Group, or click and select to see only Companies with Alerts to narrow the scope of the dashboard. Hovering over a red dot will reveal a 'tool-tip' which shows the result and alert threshold. 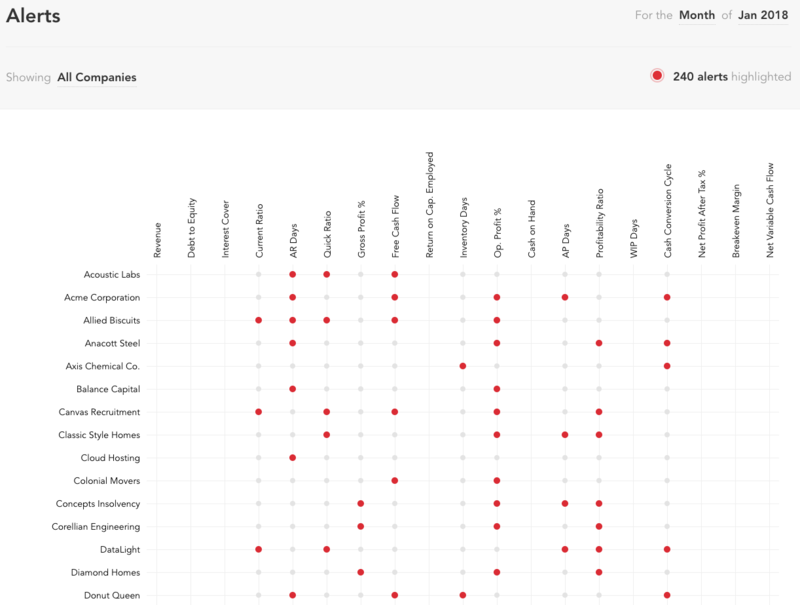 For further drill-down detail on the company's performance, along with benchmark analysis, click on any red or grey dot to see how the KPI has performed.